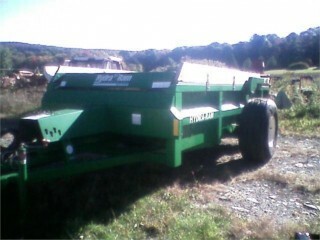 Spreaders are the best way to fertilize a large field or pasture. The spreaders will enable you to spread an even layer on your field, eliminated the hassle of having to manually spread it. 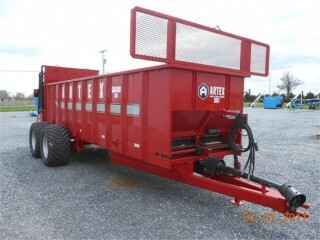 Whether you’re spreading manure or lime, there are a variety of spreaders available to meet your needs. Provides exceptional material breakup and has a widespread pattern, and the finest and thinnest application of wet manure. Accurately spreads wet and sloppy materials, making it a great option for when manure is too solid for a tanker, but too smooth for a box spreader. If you’re looking to take complete advantage of the nutrient value of manure, this is the ideal option for you. 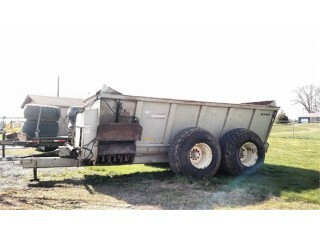 This spreader provides a great spread pattern with outstanding breakup of materials and a fast unloading time. Has a fairly low power requirement and is easy to operate, making it a great choice for a basic manure spreader. 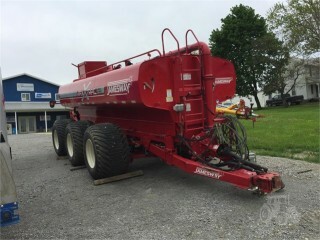 This machine is also ideal for producers who have long fields and want to spread a load of manure the full length of the field. The spread pattern of this machine is quite narrow and covers just the girth of the spreader to the outside of the tire tracks. This machine gives producers the capability to efficiently apply even the most nutrient-dense materials, such as poultry litter. If used with the horizontal beater, this combination can break up any clumps of material and spread up to 60-feet wide in an even spread pattern. Check for any worn drive chains, sprockets or drive belts; replace as necessary. Check hammers for wear and adjust lower shroud as needed. Replace hammers if there is excessive wear.